RFID Printers are designed to save time for mass printing and encoding applications. These devices are basically an RFID reader and a printer combined into one machine. UHF, HF, and NFC tags are all able to run through an RFID printer, as long as the tag is compatible with that specific printer. The RFID reader inside serves as both the encoder and the verifier for all tags that pass through the unit as it reads and then encodes the tags with the new information and then re-reads the tags before they are released in order to verify that the tag has the correct, new information. RFID printers are used in many RFID applications in order to replace manual encoding and/or add visual text to RFID labels. Printers, on average, print about 20 labels per minute depending on set print speed and label size. Because printers are quick and accurate they are very valuable in RFID applications dealing with supply chain, manufacturing, transportation & logistics, retail, and healthcare. In applications where a high volume of RFID labels is required, the time saved is well worth the initial cost of the printer as well as any ribbons the printer may need in the future. As an example, if manually encoding each tag and verifying the encoded information is done at a rate of about 3 tags per minute, about 1,440 tags will be encoded per 8-hour work day. Using an RFID printer to encode (and print) each label is performed at a rate of about 20 per minute (on average), indicating that around 9,600 tags will be encoded and printed per 8-hour work day. RFID printers work about 7 times faster, or more, than manual encoding. Two types of RFID printing styles are available with RFID printers: direct thermal printing and thermal transfer printing. Most RFID printers are capable of both direct thermal and thermal transfer printing (with the addition of ribbon and a change of settings). Direct thermal printing only prints on a specific type of paper (media) that turns dark when it comes in contact with a heated printhead. When the specialized paper passes through this printer, the printhead is heated and then moves across the paper in the desired pattern. Direct thermal printing is used less frequently in RFID applications because the paper and printed information naturally degrades over time, especially when subjected to heat, sunlight, or abrasion. The upside to using direct thermal printing is the reduced cost (vs. thermal transfer printing) because there is no need to purchase printer ribbon. This print style is used without the addition of an RFID reader very frequently for items like shipping labels, receipts, coupons, and name tags. The commonality between all these pieces of media is that the item is only used for a short period and will not hold up to long-term use, especially in warm environments. Thermal transfer printers apply the heated printhead to a ribbon instead of directly on the piece of media. The heated ribbon melts the ribbon and transfers it onto the media/tag in the form of the desired pattern or lettering. Transferring the ribbon to the actual piece of media increases the durability and longevity of the printed text or image. Thermal transfer is the most common printing method for RFID labels because of the advantage in lifespan of the printed media. Other positives of using thermal transfer printing is the availability of media choices and types of materials, plus the ability to survive in environments that range in temperature and light. The main disadvantage of thermal transfer is the recurring cost of the printer ribbon. RFID labels are compatible with most RFID printers, but it is important to double-check the core size and print width size of the label against the specifications of the printer. Wet inlays, paper-face tags, and some on-metal labels are usable in RFID printers. Currently, hard RFID tags are not able to be used with RFID printers; instead, they must be manually encoded or with labels that are hand-applied. Brand – most printer manufacturers make their own ribbon specific to their products, but there are some generic or rebranded ribbons for sale as well. Always be sure that the ribbon lists the specific printer with which it is compatible. Type of Ribbon – three types of ribbon are primarily available: wax ribbon, wax/resin ribbon, and resin ribbon. Wax Ribbon: Use with paper facestock labels. Can be used in applications without abrasion or chemical exposure. Wax/Resin Ribbon: Use with select paper and top-coated synthetic/polymer facestock labels. Can be used in applications that may encounter moderate abrasion and exposure to chemicals. Can also be used where UL certification is required. Resin Ribbon: Use with synthetic/polymer materials. Can be used in applications that have moderate to extreme exposure to chemicals and abrasion. Can also be used where UL certification is required. Performance – some ribbon manufacturers provide alternative ribbon products based on performance. The main difference in the levels of performance is durability. Each brand has a different standard and name for each level of performance. It is important to check the performance level against other ribbons in the same brand/type category. For more information on RFID printers or if you have any questions, please comment below or contact us. 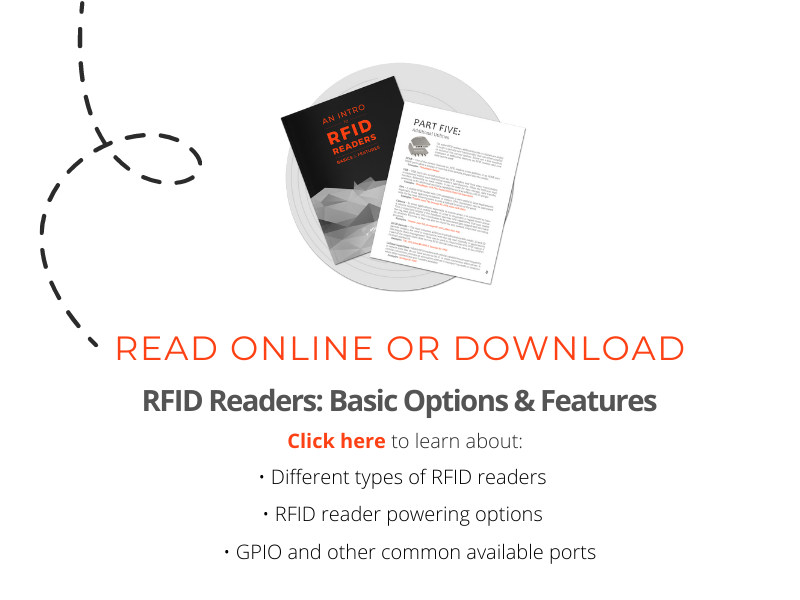 When should I invest in an RFID printer?